Circumstance can be defined as a fact or event that makes a situation the way it is; or events that change one’s life over which one has no control. While situation is a position or status with regards to one’s conditions and circumstances. One of the most constant things in life is change. Either change for the better or change for the worse, they happen frequently. I prophesy into your life; may your present circumstance or situation continue to change for the better. Job was doing really well in life. If he was likened to a tree, it would be a tree that grew really well as mentioned in Psalms 1:1-2 which was by the rivers of water. He was a notable man in the East. A man of integrity; well respected. Loved and favoured by God. He was blessed with an elegant wife, 7 sons and 3 daughters. He had lots of possessions: He had 7,000 sheep, 3,000 camels, 500 yokes of oxen, and 500 female donkeys, and very many servants so that this man was the greatest of all the people of the east. Things were going on well, even though Job was having a premonition that something might go wrong. Truly tragedy struck. The Sabaeans fell on the oxen, the donkeys and his servants; the Fire of God consumed the sheep and other servants; the Chaldean fell on the camels and even other servants, and a great wind from the wilderness brought down the house upon his ten children so that they all died! As if all these were not enough, terrible boils and sores covered his body; his wife asked him to curse God and die. What a negative change in his life! Unknown to him, it was all because of a bet between God and Satan. When Job friends heard what had happened, they came to visit him. By the time they saw him in the state he was, they couldn’t recognise him. They all tore their robes, put dust on their heads and wept. They were so stunned to the extent that for the 7 days that they spent with him, they didn’t know what to say. In all these, Job didn’t sin against God. He, however, began to curse the day he was born. By chapter 14, Job erroneously compared the life of a man to that of a tree. His circumstance was so bad that he felt the life of a tree is by far better than that of a man. Job 14:7-12 – “For there is hope for a tree, if it be cut down, that it will sprout again, and that its shoots will not cease. Though its root grows old in the earth, and its stump die in the soil, yet at the scent of water it will bud and put out branches like a young plant. But a man dies and is laid low; man breathes his last, and where is he? As waters fail from a lake and a river wastes away and dries up, so a man lies down and rises not again; till the heavens are no more he will not awake or be roused out of his sleep. If care is not taken, that is how easy it is for one to think wrongly when one is going through tough issues. Have a false perception of life because of one’s predicament. This was the most upright man on earth. This verse is exploited by atheist and some Christians who denounce resurrection. But when God reasoned with Job, he was asked some questions he could not answer. He realised that he was acting as a novice and his eyes were opened. He later expressed his true conviction. He said that regardless of what he might be going through, he was confident that his circumstance will eventually change for the better. Job 19:25-27 – For I know that my Redeemer lives, and at the last he will stand upon the earth. And after my skin has been thus destroyed, yet in my flesh I shall see God, whom I shall see for myself, and my eyes shall behold, and not another. My heart faints within me! Even within his bad argument in Chapter 14, he made a statement which is very profound. Job 14:14 – If a man dies, shall he live again? All the days of my service (life) I would wait, till my renewal (change) should come. Which means a change can happen in his life as he waits. I try to look closely at the life of a tree mentioned by Job. Some of their importance. Tree form a very vital part of our Ecosystem. They remove carbon dioxide from the atmosphere and store a large quantity of that as carbon. They breathe out oxygen needed for animal respiration. They play a significant role in the reduction of all kinds of erosion. They provide habitat for many species of animals and other plants. They provide timber for construction; fuel for cooking and heating from cold. They provide fruits for food. They are sources of raw materials for medicine, household utensils, and perfumery. They provide shade and cooling through evaporation. They provide aesthetic beauty for our landscape. It is a true saying though that when a tree that is cut down, it can sprout again if conditions become favourable to the stump left in the earth. As trees are invaluable and priceless to our ecosystem; so also are certain things are priceless and are of immense value to our own lives. The message I’ve been asked to pass across today is that such invaluable things may have been cut down; if the conditions are made right, they will sprout again and become mighty trees. Examples of ‘trees’ that may have been cut down, could be your: intimacy with God (first love); service to God; relationship with family members (spouse, parent, children, siblings, cousins, etc); relationship with brethren, friends, accomplices; career; business; courtship; health; inner strength; dream/vision; study; finances; ministry; joy; peace; etc. – If any of these regarding you have been hewn down, may it live again in Jesus name. There are levels at which one can cut a tree. The lower to the ground, the crueller it is. But as long as a stump and the root is still there, and it smells water, growth is possible. Samson is unarguably the strongest person that ever lived (not counting Jesus). He was a man of tremendous strength. Jonathan and his armour bearer have attacked the garrison of the Philistine before. Gideon has attacked the Midianites before with 300 men. But Samson was a one-man army. He dealt with the Philistines in a brutal manner: their crops, their men, their animals, their lords, their city gate, even their ladies! The bible talked about his raw strength to which no kind of rope, flax or string could bind him. He was just too powerful. His power stem from the fact that he was a Nazarite from birth, consecrated to God alone. He had conditions that he was supposed to keep for that power to continue (must not shave the hair on his head, must not touch a dead body, must not drink wine nor touch grapes). As he continued in life, he began to break these conditions in turn, until he broke the final one – his hair was shaven. So, his power left. The hair is an essential part of we humans. If not now that it has become fashionable to shave one’s hair, the hair on the head has always been a symbol of glory, pride and joy, especially to ladies. I can remember when I joined the Nigerian Army, as soon as I scaled through the screening, the next thing they did to us was to shave our heads. It was to humble us and for us to forget whoever we thought we were. It was not a nice identity. Samson’s hair was tied to his glory, power and strength. He must have been so weak spiritually that he didn’t wake up while they were shaving his hair, maybe he was given much to drink by Delilah. He was truly humbled: his hair gone, his eyes removed, and he was made to grind meal. The good side of the story, however, was that his hairs began to grow again, so was his strength, surprisingly his enemies were not paying attention. As they were making a mockery of him, he called upon God for great strength; he was able to pull down the building that lots of Philistines were, such that he killed more people at his death than those he killed in his life! Judges 16:22 – But the hair of his head began to grow again after it had been shaved. – You may have been shaven by whoever or whatever, your ‘hair’ shall grow again in Jesus name. There is also a different level of shaving for someone who had not have a haircut before, depending on the size of comb that was used. Whether it was a high shave or close shave that you have suffered, your hair shall grow again. Your strength shall return. Your power shall be re-ignited in Jesus name. In I Sam. 30:1-19, the bible talks about how David and his men went out to look for food for their families, but before they came back, the Amalekite Raiders have carried away their families and everything they had and burnt their huts down. 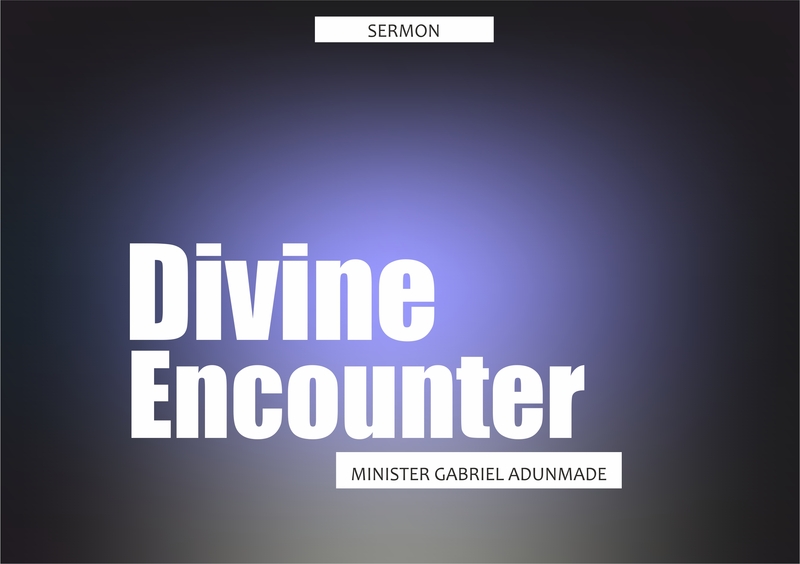 After crying their eyes out, David sought the face of God and he was asked to pursue after the Amalekites; and that he would recover all that was lost. As they were going, they came across an Egyptian man abandoned in the wilderness to die. This man was very crucial to their operations; as he was very conversant with the path the Amalekites have taken. It was interesting to know that the Egyptian was lying in the desert because according to him, he fell ill, and his master thought he was a liability and thought it better to abandon him. He was left for vultures in the desert to devour. What a shock the Amalekites would have suffered if they saw his face again. It’s again interesting that David’s men didn’t give him any medication, except food and his spirit, returned to him. Also, the speed at which he recovered and then lead the search was amazing. 1 Samuel 30:11-12 – They found an Egyptian in the open country and brought him to David. And they gave him bread and he ate. They gave him water to drink, and they gave him a piece of a cake of figs and two clusters of raisins. And when he had eaten, his spirit revived, for he had not eaten bread or drunk water for three days and three nights. – There is someone here, people thought you are sick. Even you your very self is thinking that something might be wrong with you. What you need is an anointed meal from God. People you rely on may have distanced themselves from you. God will send helpers to you. May your hunger be met. May your thirst be quenched in Jesus name. You will not die. You will not fall into the hands of the tormentors. That desert is not your end. You will not perish in the wilderness of life. You will enjoy the riches of the wicked. May your spirit come back to you again. In I Kings 19:1-8, at the threat of Jezebel upon Elijah’s life, Elijah took to his heels and when he got to the wilderness, he asked God to take away his life. At this point, his essence of living had been cut off. The lowest point a man of God can reach. God was however gracious to him. He was fed from heaven twice. He was given strength that sustained him for 80 days journey. His circumstance changed for better. He was able to confront the people he ran away from, and he eventually went to heaven without tasting death that scared him. – There is someone here, your courage has been deflated by threats that have been made at you, it may be by persons or establishments. God says He still has great things in store for you that will amaze you. Today, God will feed you with bread and meat that will last you for many years to come. What should I do to aid my situation to change for the better? On the last day of the feast, the great day, Jesus stood up and cried out, “If anyone thirsts, let him come to me and drink. Whoever believes in me, as the Scripture has said, ‘Out of his heart will flow rivers of living water.’” Now, this he said about the Spirit, whom those who believed in him were to receive, for as yet the Spirit had not been given because Jesus was not yet glorified’”. Draw water from the Holy Ghost. Words that pertain to your case, must be eaten and digested by you. In the state that David was, it was only favour that could have saved the Egyptian’s life. Then came to him all his brothers and sisters and all who had known him before and ate bread with him in his house. And they showed him sympathy and comforted him for all the evil that the Lord had brought upon him. And each of them gave him a piece of money and a ring of gold. And the Lord blessed the latter days of Job more than his beginning. And he had 14,000 sheep, 6,000 camels, 1,000 yoke of oxen, and 1,000 female donkeys. He had also seven sons and three daughters. Job must have helped a lot of people when he was rich. It was the gifts that those people gave to him that God multiplied. 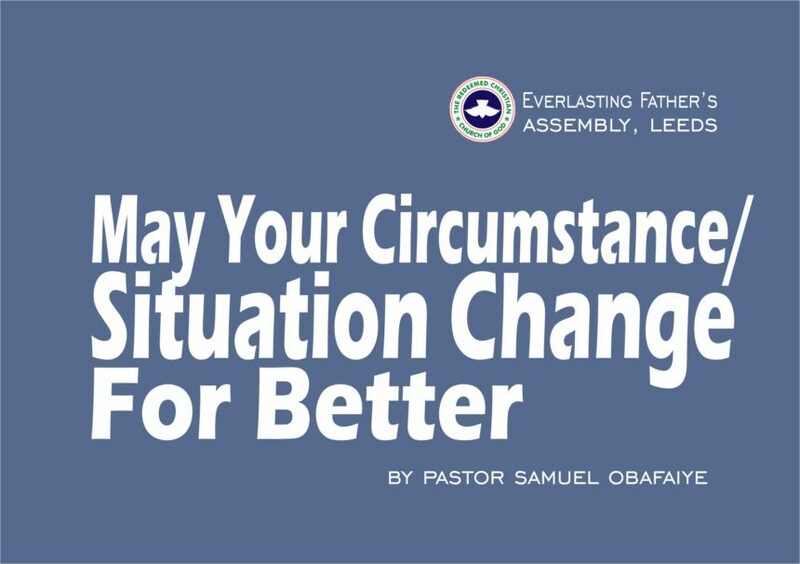 Father, let my present circumstance change for the better. Father, let my current situation improve. Father, breathe upon my destiny afresh. Father, let the me of tomorrow amaze the whole world, including myself.